Two neutron stars colliding, which is the primary source of many of the heaviest periodic table elements in the Universe. About 3-5% of the mass gets expelled in such a collision; the rest becomes a single black hole.Dana Berry, SkyWorks Digital, Inc. But things aren’t so clean and neat. As large as space is, there are literally trillions of objects in our galaxy, moving on timescales of billions of years. Some of the systems that form will have multiple objects in them, and collisions between them aren’t just likely, they’re inevitable. 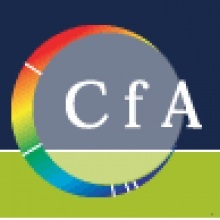 Whenever a collision or merger occurs, it forever changes what we’re left with. Here’s the cosmic story of what happens. 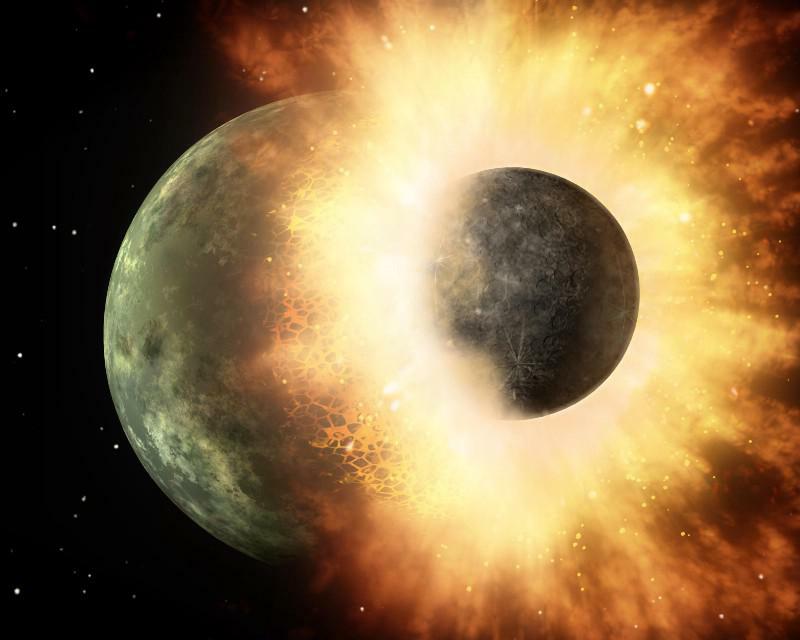 When an object collides with a planet, it can kick up debris and lead to the formation of nearby moons. This is where Earth’s Moon came from, and also where it’s thought that Mars’ and Pluto’s moons arose from as well.NASA/JPL-Caltech. 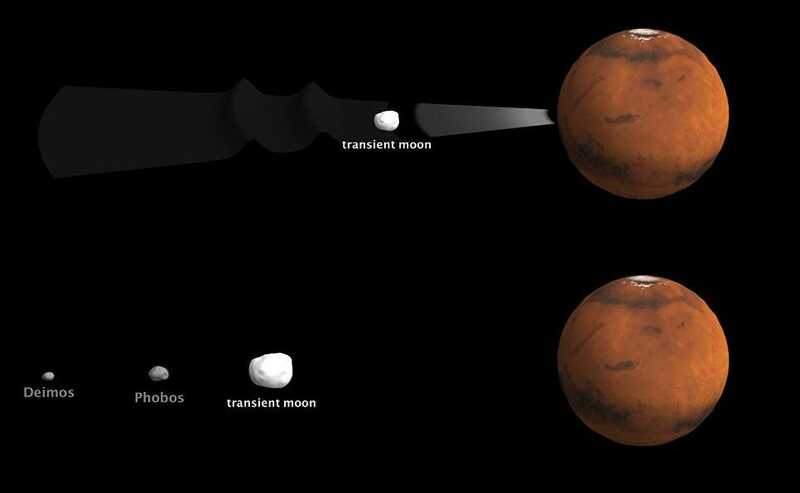 Beyond that, we also have some pretty good evidence that Mars’ moons were created, along with a third, larger one that’s since fallen back down onto the red planet, by a large proto-planetary collision, too. From all the simulations we’ve performed and the evidence we’ve accumulated, rocky planets of comparable sizes collide quite frequently in the early stages of a solar system’s creation. When they smash together, they create a single, larger planet, but with a cloud of debris that coalesces to form one nearby, large satellite and up to several smaller, more distant satellites. The Pluto-Charon system is a spectacular example of this, with four additional, outer, tumbling moons. Brown dwarf collisions. Want to make a star, but you didn’t accumulate enough mass to get there when the gas cloud that created you first collapsed? There’s a second chance available to you! Brown dwarfs are like very massive gas giants, more than a dozen times as massive as Jupiter, that experience strong enough temperatures (about 1,000,000 K) and pressures at their centers to ignite deuterium fusion, but not hydrogen fusion. They produce their own light, they remain relatively cool, and they aren’t quite true stars. Ranging in mass from about 1% to 7.5% of the Sun’s mass, they are the failed stars of the Universe. 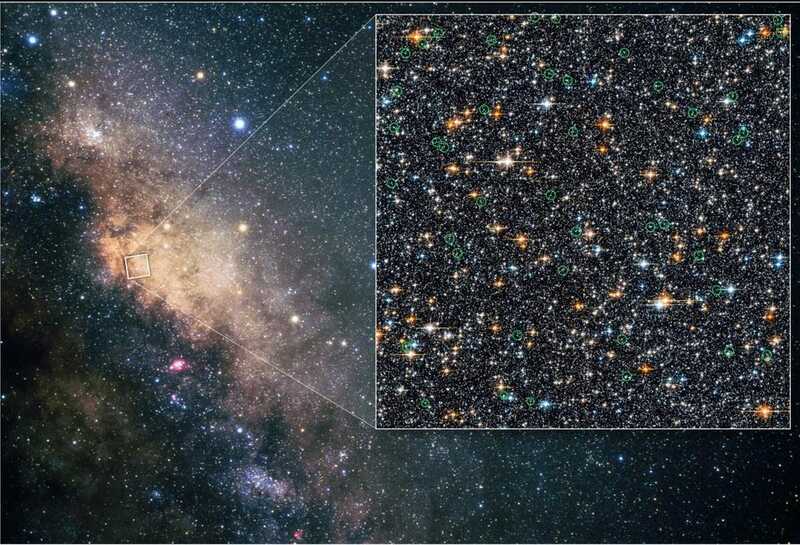 The reason for that is that very little about the compositions of these failed stars changes over time. They’re still made of 70-75% hydrogen each, and when they merge together, they still have all of that unburned fuel. If the total mass of the merged object now exceeds that critical threshold of 0.075 solar masses, the Universe will have created a new star! With this much mass in a single object, temperatures will rise past that critical 4,000,000 K to ignite hydrogen fusion. 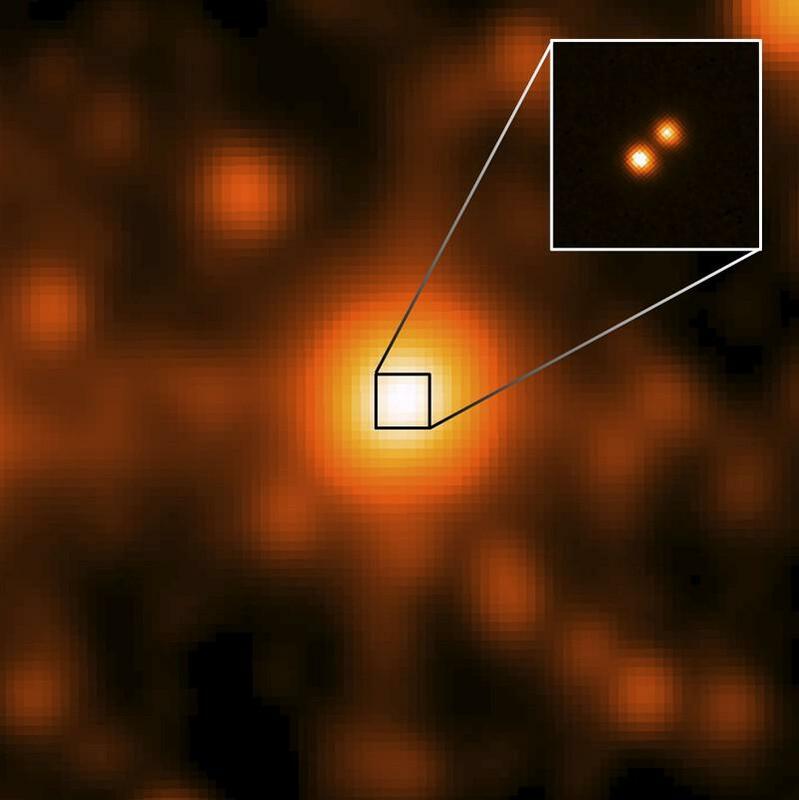 Instead of two brown dwarfs, we’ll have created a red dwarf: a bona fide M-class star. The nearby binary brown dwarf system Luhman 16, just 6.5 light years away, is tantalizingly close to having the exact parameters necessary to eventually become a red dwarf star. 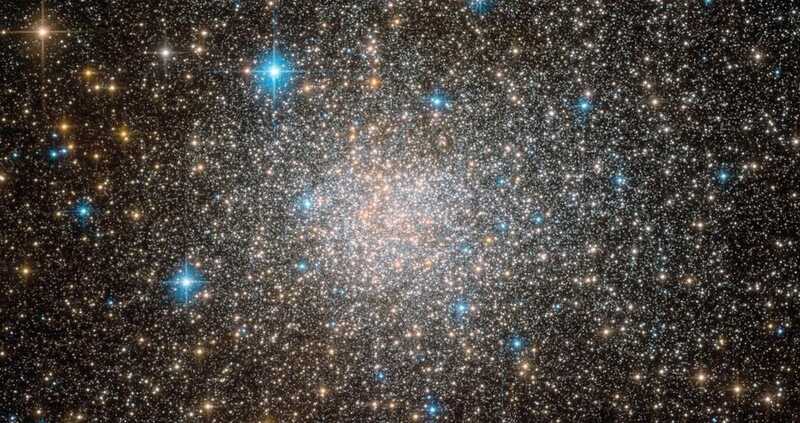 Yet when we look at some of the oldest star clusters of all, we find a population of stars that are bluer and hotter than ought to be present. They simply don’t match up with the rest of the stars that are around. These blue straggler stars are real, though, and they have a fantastic explanation: stellar collisions. 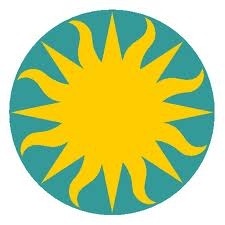 Take any two (or more) stars and merge them together, and they’ll make a single, more massive star. 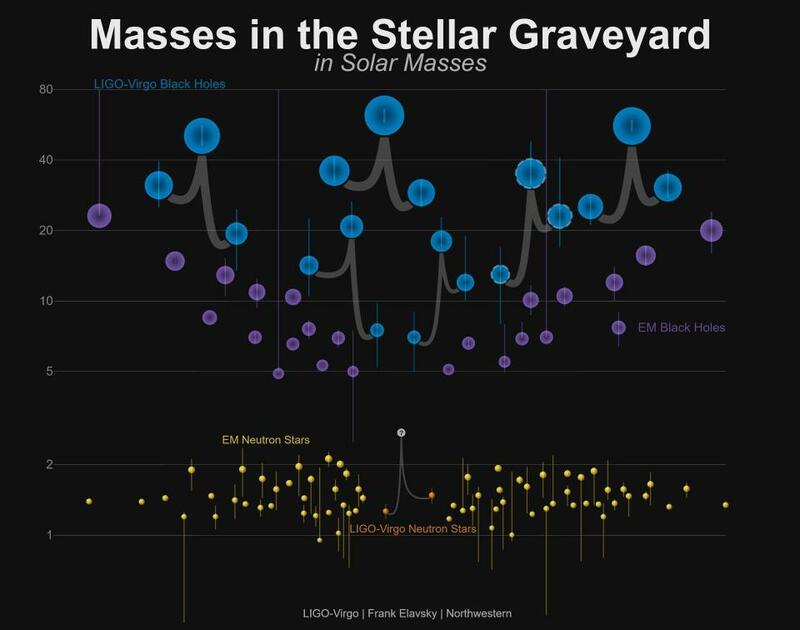 Even when all that remain are the redder stars, say one of 0.7 solar masses and one of 0.8 solar masses, if they merge together, they can create a bluer (1.5 solar mass) star, even if the star cluster they exist in is too old to have a 1.5 solar mass star remaining. Neutron star collisions. Arising from even more massive stars than those that give rise to white dwarfs, neutron stars can often exist in multi-star systems. 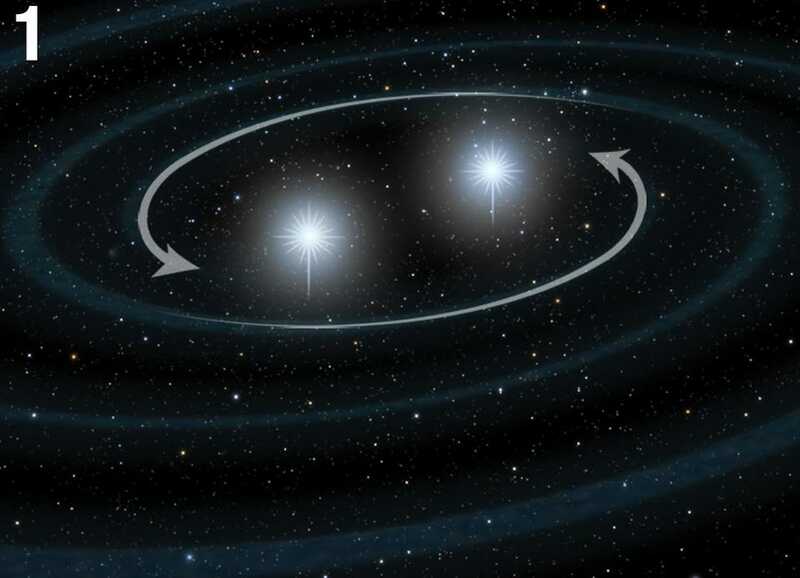 Recently, we’ve observed two neutron stars in a binary system inspiraling and merging: a kilonova event. When this occurs, a large burst of energy is given off, and a substantial fraction of mass is ejected. The critical 2017 event that occurred marked the first time that the same object was observed in both gravitational waves and electromagnetic radiation. Black hole collisions. Merge a black hole with a black hole, and you get an even more massive black hole. But there’s a catch: up to around 5% of that mass gets lost! The first merging black hole pair we ever saw was a 36 solar mass black hole merging with a 29 solar mass black hole. But it created a black hole whose final mass was just 62 solar masses! A total of three suns worth of mass was simply lost. Other collisions are expected, such as black hole-neutron star, neutron star-white dwarf, neutron star-normal star, or even black hole-normal star. Objects like active galaxies or microquasars may be triggered by a black hole devouring stars or gas clouds. We have yet to observe any of these collisions as they happen, however, although we have discovered a candidate for a Thorne-Zytkow object: a neutron star at the core of a red giant star. Space may be a very big place, but it’s far from empty. Particularly within galaxies and star/globular clusters, the density of planets, stars, and stellar remnants are tremendous, and collisions such as these are inevitable. Whatever the consequences may be, it’s up to us to find out! GW170817 is the name given to a gravitational wave signal seen by the LIGO and Virgo detectors on 17 August 2017. 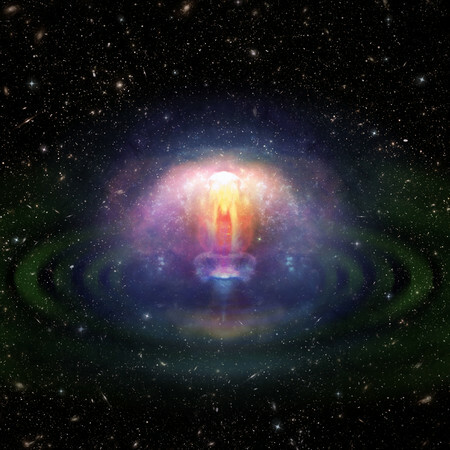 Lasting for about 100 seconds, the signal was produced by the merger of two neutron stars. 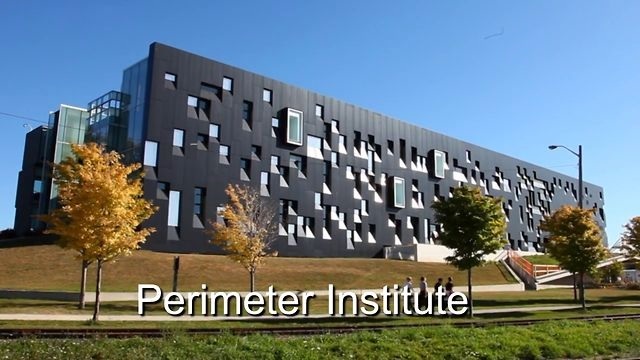 The observation was then confirmed – the first time this has happened for gravitational waves – by observations with light waves: the preceding five detections of merging black holes did not have (and were not expected to have) any detectable electromagnetic signals. The light from the neutron star merger is produced by the radioactive decay of atomic nuclei created in the event. (Neutron star mergers do more than just produce optical light, by the way: they are also responsible for making most of the gold in the universe.) 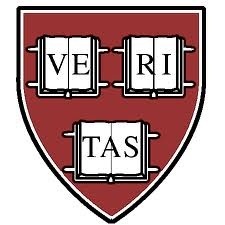 Numerous ground-based optical observations of the merger concluded that the decaying atomic nuclei fall into at least two groups, a rapidly evolving and fast moving one composed of elements less massive than Lanthanide Series elements, and one that is more slowly evolving and dominated by heavier elements. 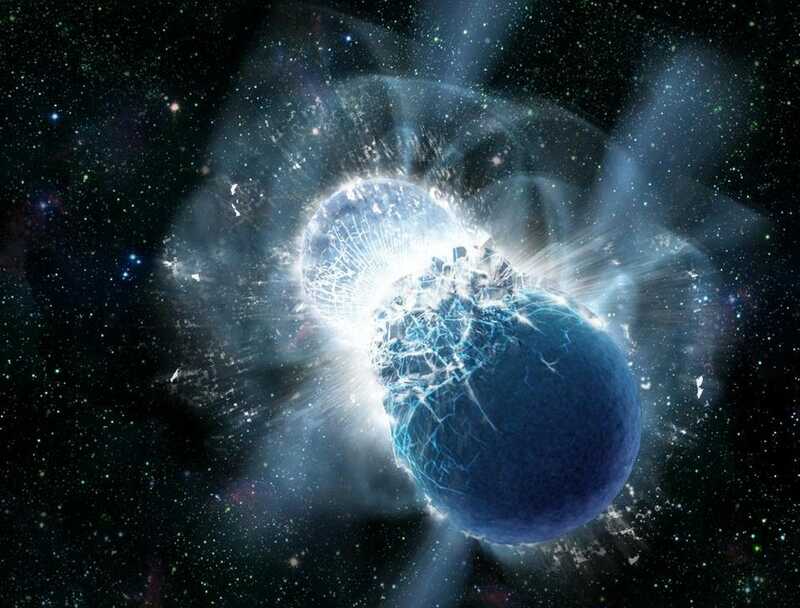 An artist’s impression of colliding neutron stars. MARK GARLICK/UNIVERSITY OF WARWICK. On 16 October 2017 the announcement of another science spectacle swept the world: for the first time, astronomers had been treated to the cosmic fireworks of colliding neutron stars. They could both listen – thanks to gravitational waves – and watch – thanks to electromagnetic waves. Astronomers the world over were catapulted into a frenzy. As a result, dozens of research papers went online on October 16, the day of the official announcement. One paper in particular [The Astrophysical Journal] demonstrates the mind-blowing scale of the collaboration – it’s co-authored by almost 4000 astronomers from more than 900 institutions: about a third of all astronomers in the world. 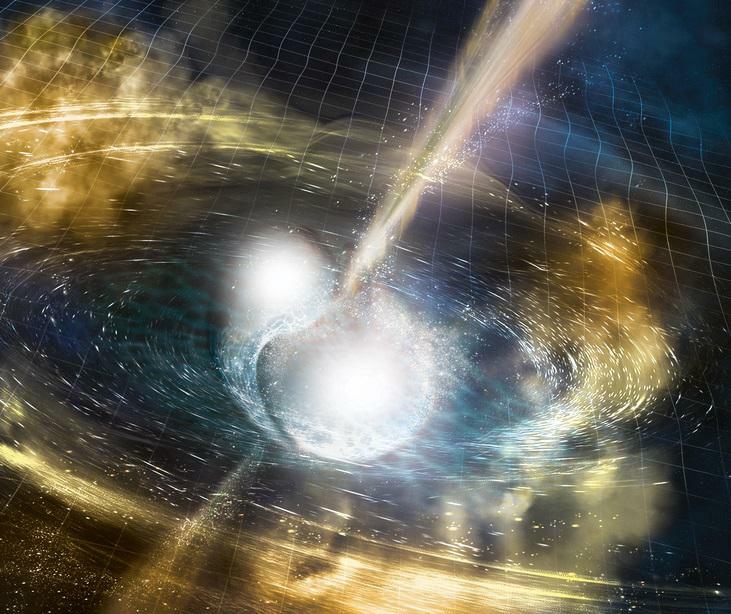 See further from UCSC, https://sciencesprings.wordpress.com/2017/10/20/from-ucsc-neutron-stars-gravitational-waves-and-all-the-gold-in-the-universe/ for the full story including the optical astronomy involved in this event.